Good morning, Crono! 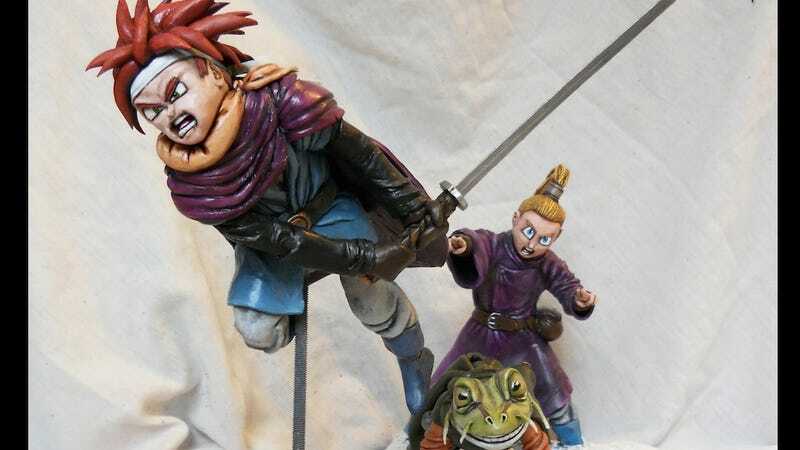 Check out this nifty re-creation of the Chrono Trigger SNES box art by The Lando Bros. They say it took about 3 years to complete, and that they left Marle's fire off because A) her fire spell is difficult to get right and B) she actually uses water spells in the game.